Princess Eugenie’s fiancé, Jack Brooksbank, has multiple interests in the wine and spirits industry, having recently been named UK brand ambassador of George Clooney’s Casamigos Tequila and is the founder of his own wine merchant business. 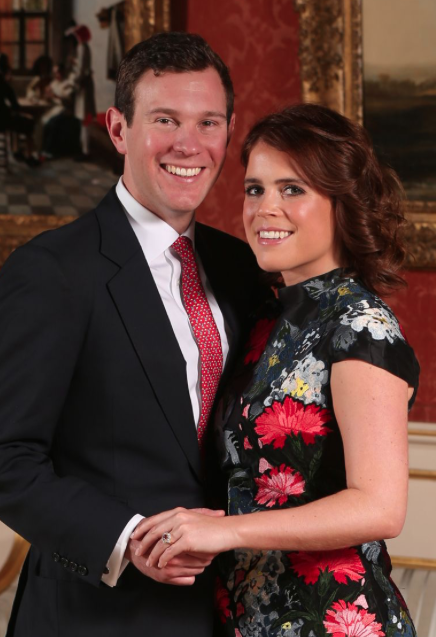 The Duke and Duchess of York confirmed the the engagement of Princess Eugenie to Mr Jack Brooksbank yesterday, revealing that Her Royal Highness and Mr Brooksbank became engaged in Nicaragua earlier this month. Eugenie, 27, met Brooksbanks, 30, around seven years ago at the Swiss ski resort of Verbier. The son of a chartered accountant, Brookbanks was educated at Stowe public school in Buckinghamshire and Bristol University, later choosing to pursue a career in the catering and hospitality industry. Among his past roles, Brooksbanks worked at the Admiral Codrington pub in Chelsea before joining Brompton Brands, working at a number of its venues that included The Markham Inn gastropub in Knightsbridge, The Punchbowl, The Rose Club, Whiskey Mist and The Brompton Club. He went on to become the manager of royal hotspot Mahiki, and later helped launch Mexican-themed pub Tonteria in Chelsea. It was here that he developed an interest in Tequila and worked on a number of strategic partnerships between the venue and Casamigos Tequila, which was sold to Diageo last year for US$1billion. That partnership led to Brooksbank being named the UK brand ambassador for Casamigos, tasked with representing the brand throughout its top tier venues including hotel groups and private clubs and educating consumers on its story. “It is a very exciting time for the brand in the UK as the consumer mindset of the tequila category is shifting,” he said. “People no longer see Tequila purely for shooting but choose quality ultra-premium sipping offerings, with Casamigos leading the way due to the unique production methods, smooth taste and ‘no burn’ of our award winning expressions. “I look forward to introducing the Casamigos portfolio to new venues and continuing to build a UK based ‘House of Friends’ network, helping the brand grow from strength- to-strength”. The entrepreneur also has his own wine merchant business, Jack Brooksbank Ltd, which according to Companies House was set up in 2016 with its headquarters in Borehamwood. However there is little else by way of a website or contact number, indicating the business is yet to take off. Brooksbank’s wedding to Princess Eugenie will take place in the autumn of 2018 at George’s Chapel in Windsor.